Hello! My name is Caitlin Glidewell and I have been elected to be an Alternate for Bernie Sanders to the Democratic National Convention! I will need to raise a substantial amount of money to make the trip to Philidelphia and stay tere for the Convention. This is where I need your help! I need to raise the funds by July 1st, 2016 in order to make the trip. This is my first presidential election, and I want to be as involved in the process as I possibly can. I started small, at my local precinct convention and have worked my way up to here. I'm learning more and more about the way our election system works, and being inspired by the people around me who believe in the future we can make. I can't wait to go all the way to the Democratic National Convention to see what our election system is made of and play my part in it, and I hope you will support me! This is the opportunity of a lifetime, to play such a role in what will surely be one of the most pivitol elections our Nation will see, and my very first one! I am so grateful for all of your help achieving this! The DNC may be over, but unfortunately it is not paid off. I still owe about $300 on the hotel. I would greatly appreciate any help getting this difficult experience paid off so I can put it behind me, and move forward with the Revolution! Thank you to everyone w who has sent their support and love in the week since the very rough trip to the convention. I am proud to have represented you all there and done good work. However, even though the event is over, it is still not paid off. I still owe about $350 on the hotel, so anyone who could spare a donation to get this convention behind me is greatly appreciated! And remember, the Revolution is not over! It's only just begun! I've decided to do some video journals while I'm out here. Here is the first one. Just some info on my travel, and my opinions on the controversy over Bernie endorsing Hillary. 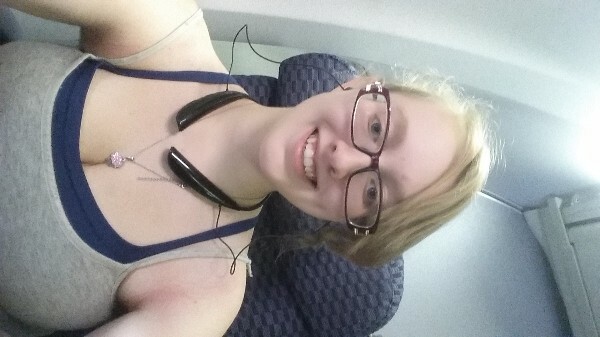 Boarded the plane to New York City. First stop on my journey to the DNC! Laura - that is the projected total cost for our hotel, flights and other travel, living expenses such as food, and attendance costs. That number is not pulled out of thin air, but given to us by the Democratic Party. Hook up with other Bernie delegates to share a room and transportation. The Berners plan to eat the free food that will be available in hospitality and meetings rooms, and in hotel lobbies. Some hotels offer free breakfast - put some in your ba for later. Where are you coming from, Asia? Why would you need $6,000? Hope this helps you pay off the remainder. Sent you a friend request on FB.